See the description of Blåeggi. The peak can be traversed from north to south as part of the ski route from Vikafjellet to Voss. As one descends from Skreieggi, one should keep east and cross near points 1219m and 1226m, in order to descend to the saddle near elevation 1150m. 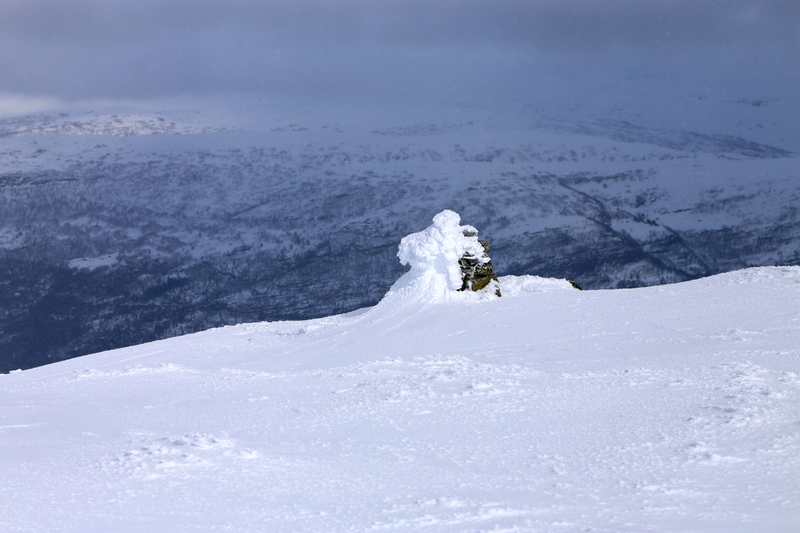 In this way, you avoid steepish terrain just north of Tvinnestølen as well as keeping your elevation. 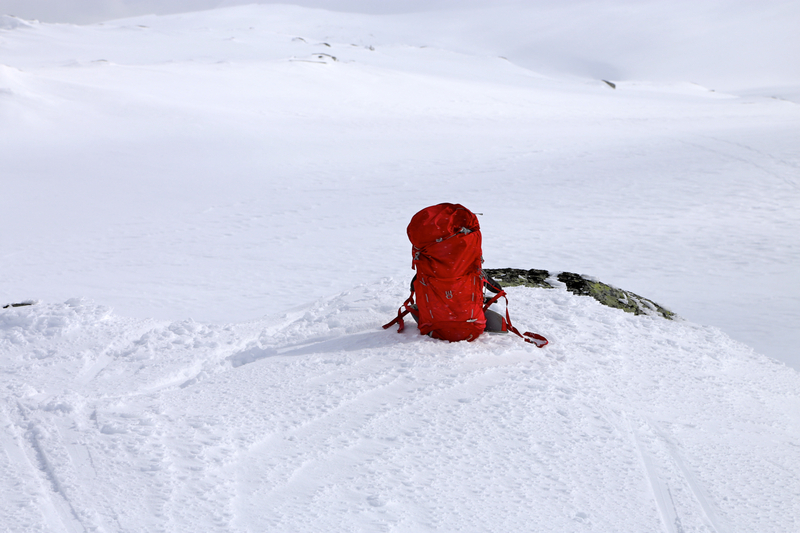 Next, ascend the ridge directly to higher and more flat terrain. The summit is located fairly far south on this plateau. A small cairn is located a bit lower than the highest point. This was a trip organized for Bergen Turlag. I was trip leader together with Fredrik Brun. The trip is about 40 kilometer long and climbs about 1300 vertical meter across 4 summits. The summits are (in sequence), Blåeggi, 1172 meter, Skreieggi, 1324 meter, Storebrekkuna, 1319 meter, and at the end, Lønahorgi, 1410 meter. We started at 0930 and arrived at a bus stop in Bavallen at 1900. The group counted 11 participants plus Fredrik and myself. 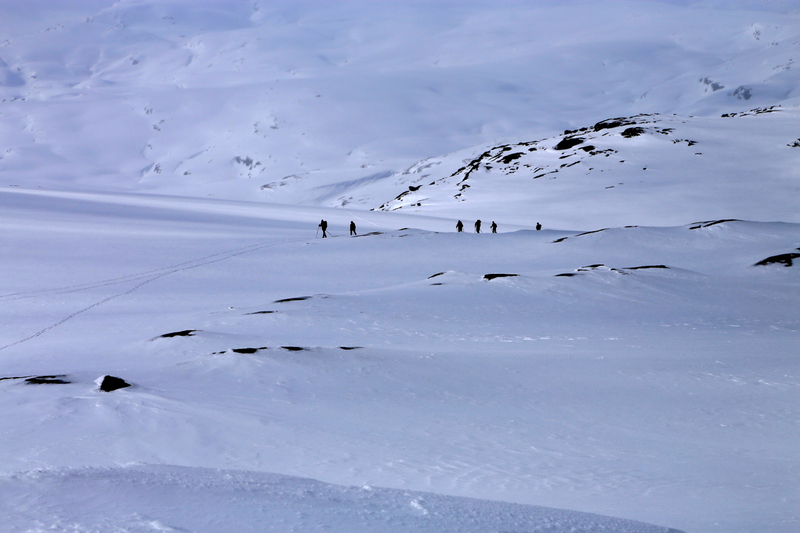 Team members approaching the summit.